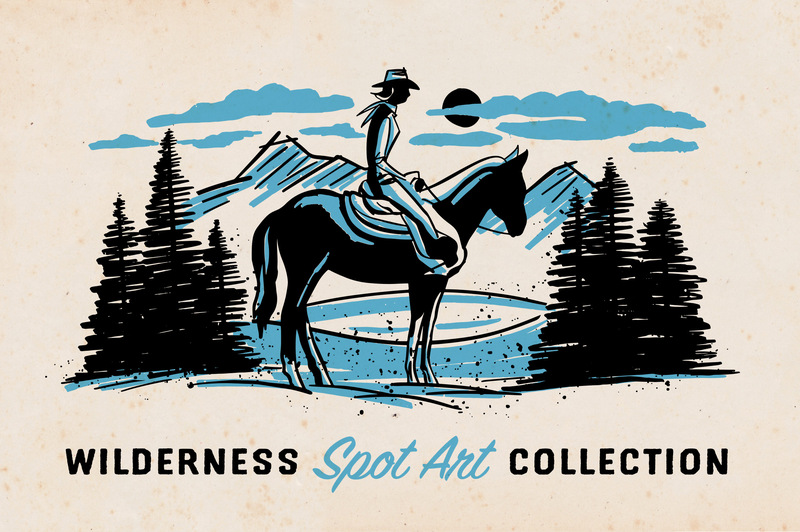 Wilderness Spot Art Collection	By: Trailhead Design Co. 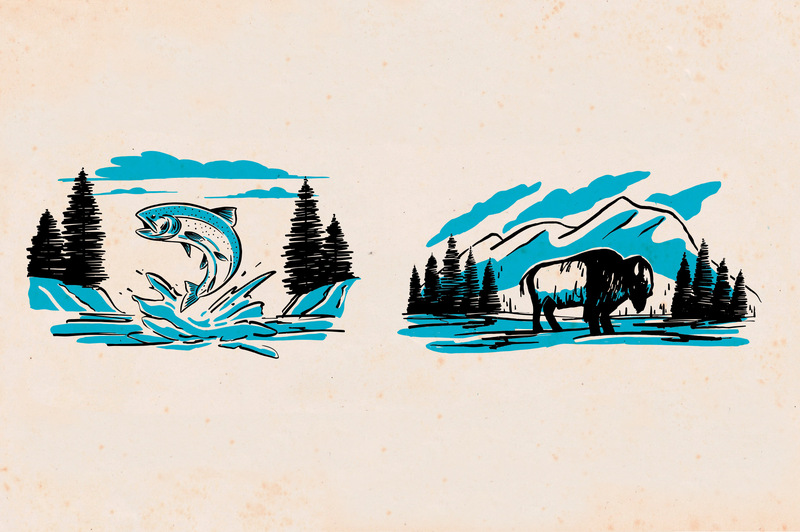 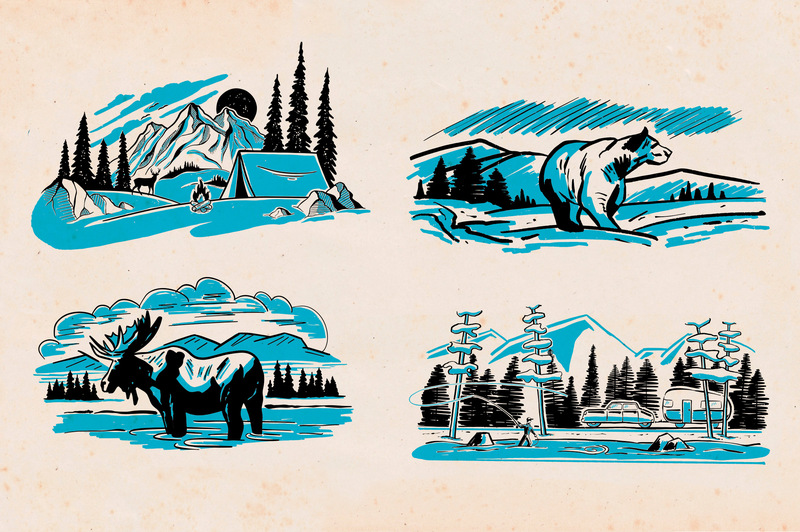 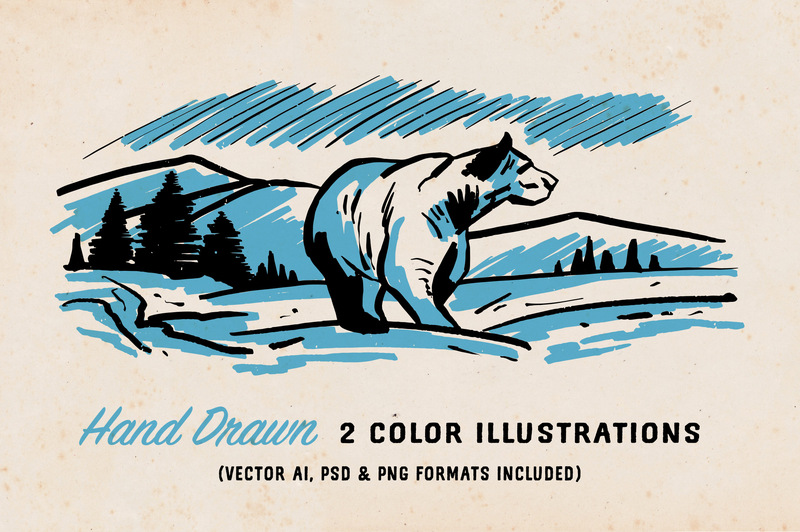 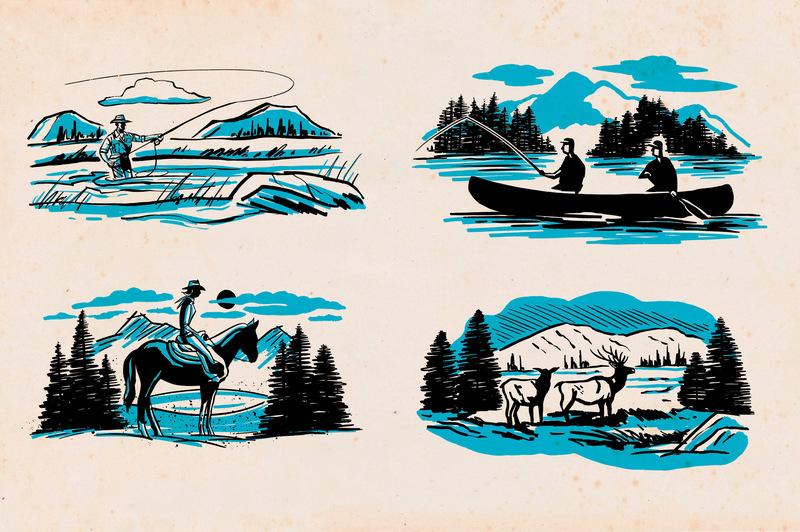 This collection of 10 two color illustrations are inspired by mid-century spot art. 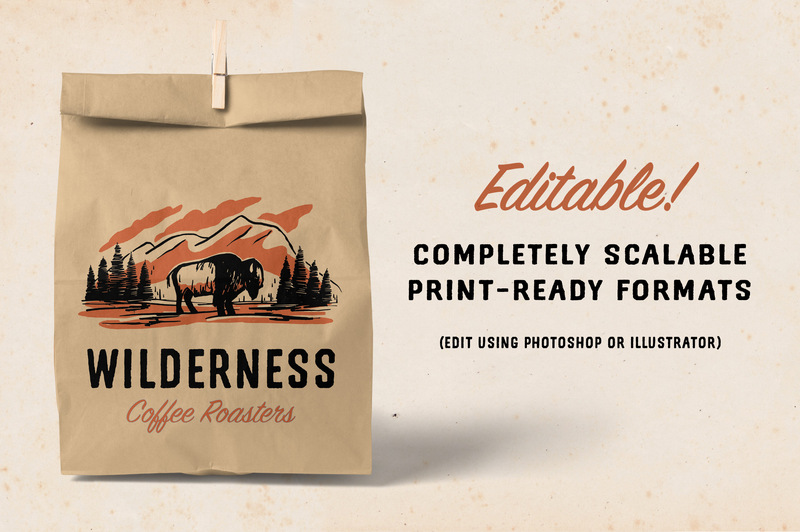 These illustrations come in fully editable vector formats for Photoshop and Illustrator. 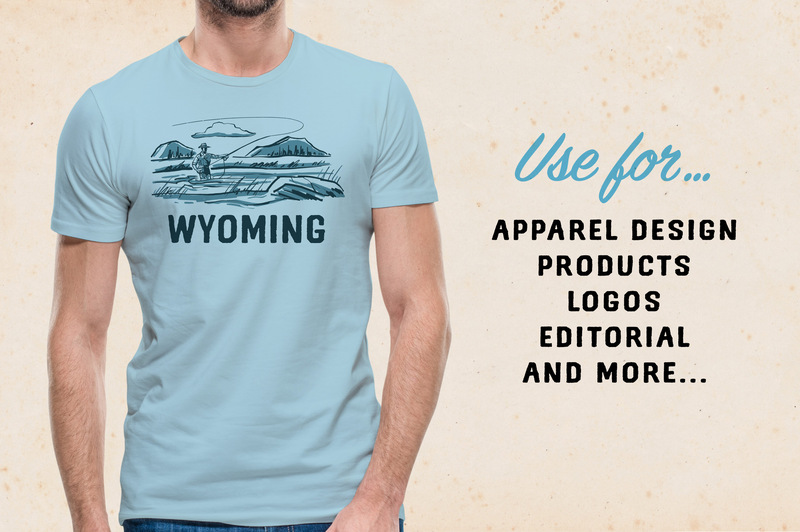 They can be used in a variety of formats including apparel and product design, logo and editorial. 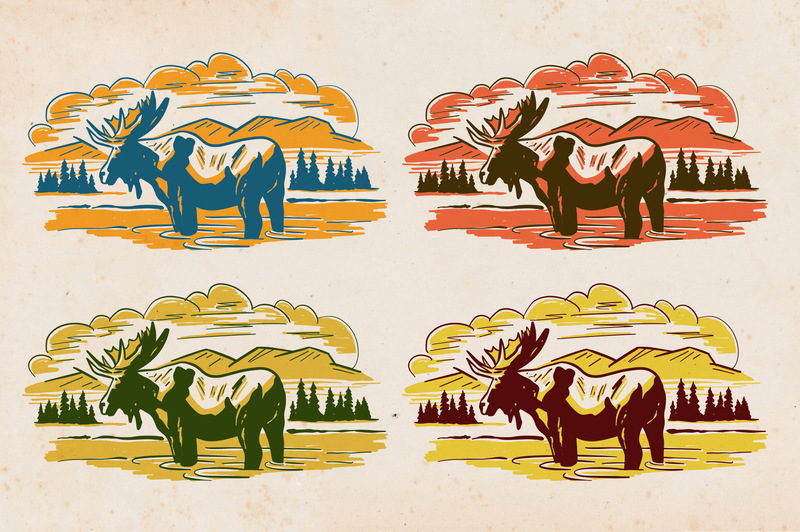 The colors are easily changed and the sizes can be adjusted to any scale. 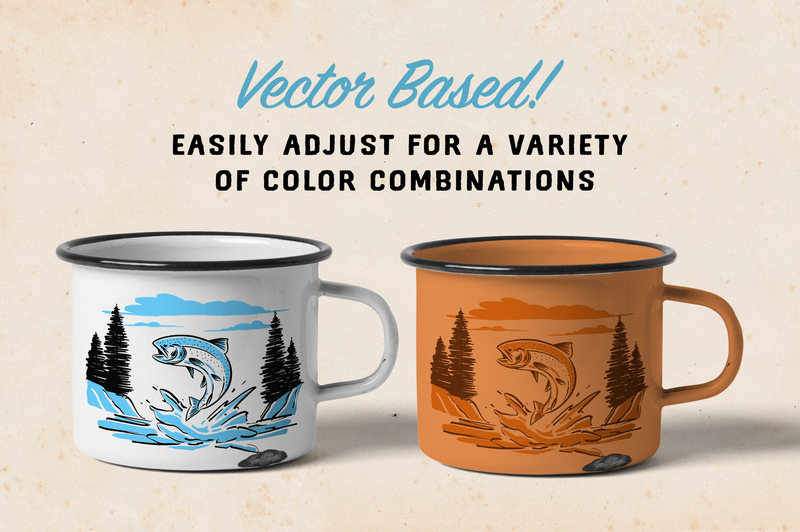 • 10 Vector .EPS files for Adobe Illustrator (or equivalent vector editing software).